The yacht named "Solarwave 62" was built in Antalya Free Zone (ASBAŞ), Turkey's leading site for luxury yacht and mega yacht construction. 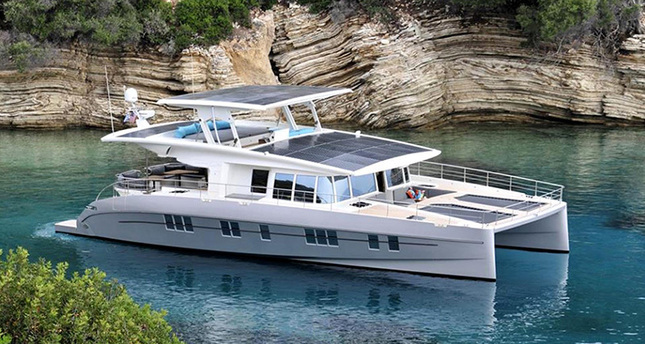 The upper surface of the 19-meter-long yacht was covered with solar panels, which allow the vessel to cruise up to 20 sea miles when batteries are full. A power generator was also installed as a back-up power source. Following two months of tests in open sea, the yacht was transferred to Greece to be handed over to its Australian owner. ASBAŞ General Zeki Gürses said that the yacht's biggest advantage is curbing pollution, which is crucial for closed basins like lakes.